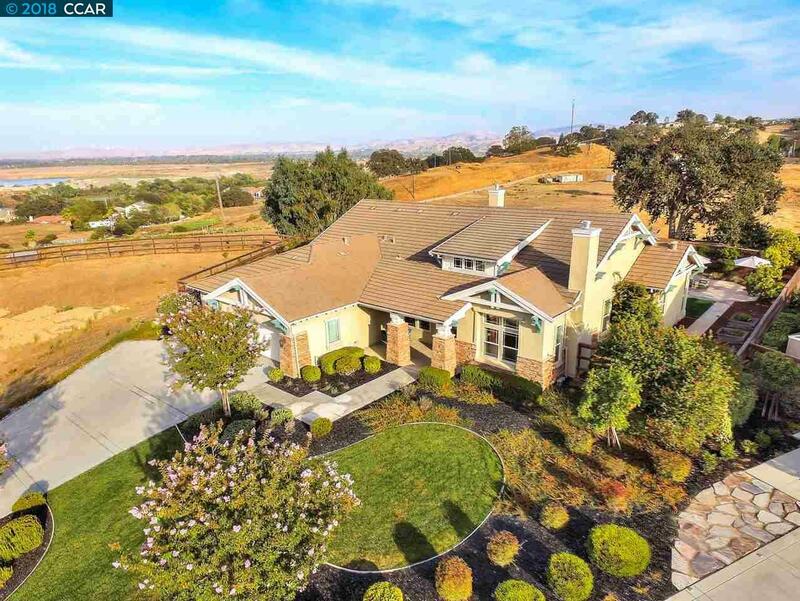 Magnificent mostly single story living situated on top of a knoll showcasing gorgeous views from the Altamont Pass to Mt. Diablo and the surrounding hills. Featuring 3,464 SF of living space with 4 bedrooms, office/5th bedroom, 3.5 baths and only a guest suite and flexible loft space upstairs. A well-appointed chef's kitchen is highlighted by the Wolf and Bosch stainless appliances, SubZero wine refrigerator, casual dining and family room with vaulted ceiling and fireplace. Other features include a luxurious main-level master suite, plantation shutters, indoor/outdoor speakers, 3 zoned HVAC and 2 water heaters. Dana Lund landscaping plus a Hawkins pool and spa create a spectacular entertaining venue which include views and privacy.